New bloggers have so many myths circulating around them that at times they don’t even try blogging as an option. So let me debunk 20 ultimate blogging myths that most new bloggers come across. In my free course of ways to make money online, blogging is a major part of creating an online business but for new bloggers I have seen that there are so many myths circulating around them that at times they don’t even try blogging as an option. So let me debunk 20 ultimate blogging myths that most new bloggers come across. This article is quite long with over 4000 words and you may not have the time to go through the entire article now and so you can just read few myths for now and feel free to bookmark it or print it out for later. Let me get started debunking 20 ultimate blogging myths. This is the biggest myth that any new blogger has when starting to blog. Back in 2004 I also had similar myth and that was one of the reason I opted for forums and not blog because I thought I would not be able to post every day that blog needs me to be doing. The myth is injected to us when we observe few of the top bloggers in any niche where we see that they publish new content almost daily and then we think that every blog needs to post every day. The truth is you can publish at your own pace and still have a fairly successful blog. The important aspect of blogging is not about getting a post out everyday but getting a post out when you think you have something new and interesting for your readers. I prefer to maintain no time line for both my blogs and when I have something really interesting I share it with my readers. Reader get the feeling that when Shabbir writes anything it will always be something useful and not write for the sake of it. Many new bloggers tend to avoid blogging because they think that it will take hell lot of time maintaining the blog and they will not be able to provide the needed time to get it going. At first I thought they are referring to time needed to write the content but then I realized that they are referring to the blog maintenance time and not referring to the time needed to write content. They were referring to tasks like managing the comments, replying to comments, building links to content and other such maintenance tasks that are part of being a blogger. The fact is you can always do away with those tasks. If you think comments will take lot of your time, you can have a blog without comments. 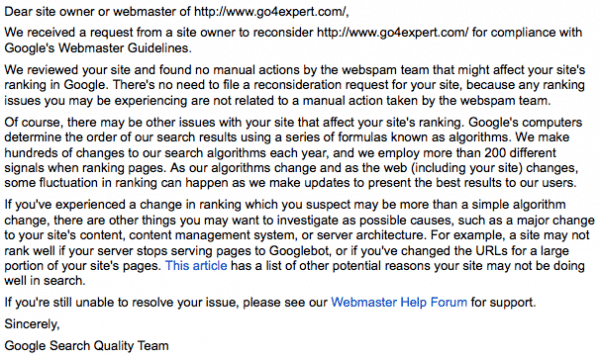 Seth Godin does not allow comments on his blog for similar reasons. If you think you will have hard time building links to your blog, just avoid that part. Let the natural links build for your blog. Any tasks that you think will take majority of your time, just avoid that task to start off. Just focus on building content for your blog and other things can be taken up at some other point of time. I am sure blogging not as an online business comes as myth is a surprise to some but at times I get so many questions where people ask me how can a site that does not sale anything can make money online. I have to explain them an answer with an example that they understand. I help them understand that sites without selling anything to their readers can also be an online business just like TV Channels where channel itself is not selling anything to their viewers and still they are a business. Similarly blogs may not sell anything to the readers directly but sell advertising to the advertisers and earn money to become an online business. Apart from ad revenue, blogging opens up many other moneymaking opportunities like affiliate marketing, digital product sales, membership programs and many others. This is the most used reason for not starting a blog. People just think that they cannot blog without ever trying to write or blog. One of the reason why people think that they will not be able to blog is, they think their English is not very good. Actually my English was horrible when I started in 2004 and I still think that it is not as good as I want it to be for writing blogs and eBooks but the only way to improve my English is to blog more and more. It will be really tough for me to compete on English grounds with people from the west as their first choice of language is English but then I am fine with it as well. The other reason people say they cannot blog is thinking that people will leave negative comments about their blog. This is something that should be taken as positive aspect because if your readers are pointing your mistakes out, you can improve very easily on the way you should be writing. Isn’t it? Others think that someone would write bad things about their blog on other sites but I am yet to see anyone writing about your blog’s feedback on someone else’s blog saying how horrible blogger’s English is. At times people make a fool of themselves like here and you cannot do anything but sit and laugh on it, still I did not reveal the identity of the person as that was not the whole point. Blogging is not something that can make you rich quickly but there is a myth among new bloggers that having the blog online will start driving money to their bank accounts almost instantly. This has never happened and this will never happen. There are tons of websites that sells turnkey blogging solutions and all I can say is beware of those turnkey blogging solutions. If they would have worked just out of the box without you doing anything, they should have been used by the creator himself/herself and there should not be any reason for selling it to you for any amount whatsoever. Blogging takes time and evergreen content that you should be writing from time to time which will become the pillar of your blog. This one article that you are reading right now took me almost 3 weeks to complete it. This myth originates because WordPress or Blogger or any other blogging platform are free to get you started and this makes new bloggers think that blog needs no investment whatsoever. Yes you can always test blogging without investment but to keep growing your blog, you need to be ready to devote time to it as well as money. A very common assumption among bloggers is that all we need to do is get the blog online and we are done with it. It should start generating traffic from Google, will have tons of readers, name, fame and money but that is not how things work. I get lot of emails with questions on why Google is not sending me traffic or why Google has not indexed my site (BTW Google not indexing your site question is answered here in detail) and as soon as I visit the site I know for sure that Google should not be indexing those site and once Google even index it, there is no reason for that site to be ranking anywhere. They have no content whatsoever and whatever little content they have, it is either copied from some other site or is just couple of articles that they have just written with tough keyword competition and want that they should be ranking for those keywords. Let me share with you an example. Once I got such email and as I visited the blog was about entertainment and fun. The site had celebrity images as well as other funny cartoons related content that was found on thousands of other sites. On top of that the site had hundred of things in the sidebar to get people away from the site. This is not all and they also had 4 or 5 banner ads and couple of popups. Guess what – The question to me was how can I get approved in Adsense. I have been rejected thrice in Adsense and though I have almost 5000 unique visitors monthly on my site. The blogger was able to drive some traffic to the site but then the quality of the site was horrible and also has not done the homework that Adsense approves site based on quality of content and not on quantity of visitors. So if you think blogging is easy, you need to rethink about it. You have to work hard to get your blog off the ground. We just saw that blogging is not easy but do you think blogging is tough? No I don’t think so. All you have to do is make a habit of blogging and producing good quality content for your blog and if you think it is tough then blogging is really not for you but then for those who like to read books and new things online, blogging should be something that comes naturally to them because you always want to have your opinion on something you read. If you take the example of this very article that you are reading, I am sure there are others bloggers who have similar articles on their blog about blogging myths but that does not mean I cannot have myths based on my blog readers questions and my experience. Isn’t it? Many readers consider that they don’t know the subject well enough to be blogging. If you have keen interest in any subject, you don’t need to be an expert to be blogging on it. If you have interest in the niche or subject, you will not run out of topics for your blog and this is the whole point of blogging. Sharing your views and ideas on the topic. Let me share with you the example of IMTips. I am not an expert in online marketing and I follow some of the great bloggers in the niche (list here) but as I experiment new ways to internet marketing for my web properties, I share them here and this is the only reason I associate with the success of yet another internet marketing (or make money online) blog i.e. ability to produce unique content from different perspective worth reading. You have been reading this article almost 2000 word from top and still have not lost interest. Isn’t it? More often than not blogging starts by reading other blogs about blogging, Internet marketing or how to make money online blogs. In the process of gaining knowledge from blogs, you are overloaded with so much information that it becomes really very difficult to decide on the niche of your blog and this is where most people get trapped in the myth that they can blog on anything. People start to think that their choice of niche is not as attractive as may be internet marketing or blogging and so instead of blogging in niche of their choice, they are pulled towards Make Money Online and Internet Marketing niche with the assumption that in Make Money Online niche they can learn blogging as well as make lot more money with affiliate marketing. Soon reality kicks in and the quality of the content never reaches certain level to attract readers and make anything from that blog. Your blog niche should be something where you can generate lot of content over a period of time. When staring out with blogging, people think that Internet Marketing or Search Engine optimization is all about buying and exchanging links but this is completely a myth. I have neither exchanged links for any of my sites nor have purchased links. Internet marketing is more about having a right kind of strategy to getting your site in front of your readers such that they will become regular visitor to your site or blog. Search Engine Optimization according to me is all about making your site users friendly following the search engine guidelines for webmasters. If you have to do something only for search engines, then it is not something I prefer for SEO but if it is something that will help search engines as well as humans, I always get it done and I think this is working really well for me for years. Let me share with you an example of link exchange from 2005ish kind of time frame. Almost every Webmaster used to exchange links and I used to get so many link exchange requests as well. If the link to my site was being placed from links page, I always used to reject for one simple reason that the site does not have the kind of traffic that people will visit those links pages and then visit my site. Does this mean I did not get links to my site? I used to get lot more links by focusing on content that is unique and drives me lot of links from authority sites over a period of time. If some of my content did not get the links that I think it deserves, I used to email webmaster that you have content where I think my article can be complementary to your readers and this help me build links to my content naturally. This is really tough way to be getting links but then it is more of long-term play. If you want, you can read about my link building strategies that works for me. Traffic is lifeline of any blog but that does not mean you need huge amount of traffic to be a successful blogger. Let me yet again take example of IMTips to show you how only few people visiting your blog is good enough to be successful as well as make decent amount of money. I have shared an article on Optimizing vBulletin Forums. 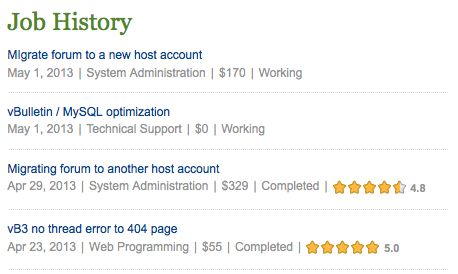 It is not the most read article on my blog but still it pays me the most. If you look at the last point in the article, it says – “If you still have issues with your server ideally you should hire me” and hire me is linked to my Elance profile. People hire me to get their forum optimization done. Check out some of my recent jobs done in Elance. 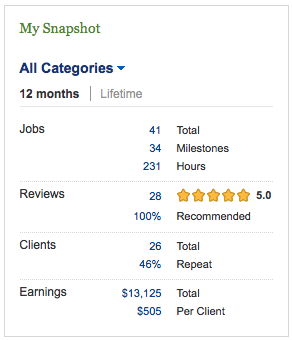 I am making $1000+ per month with each job averaging $500+ per month. Now imagine the traffic to article on vBulletin here on my blog doubles, triples or even quadruples? Will I be able to make double, triple or quadruple amount of what I am making right now. May be not because I have lot of other areas to look into like my forums, blogs as well as partnerships and joint ventures. So either I have to reject those incremental tasks or may be look for other alternatives like outsourcing. With outsourcing even if I keep 50% of profit and if I get twice as much tasks as I am getting now. I will still be making the same amount. So it is a myth that you make lot more money when your site has more traffic. The incremental traffic does not make you the same incremental money but I know there can be lot of arguments especially on couple of things. First argument can be to make more money with advertising or making more sales with affiliate marketing with increase in traffic. Advertising revenues have always been on the decline because advertisers are spending their money wisely by paying lesser and lesser eCPM to publishers. So an increase in traffic may not always mean increase in advertising revenue. With affiliate marketing, making more sales means you have to constantly work on generating more content that makes your readers interested in purchasing products you are promoting. At times it does not happen like for example if you are an affiliate of selling insurance products and if you are able to get more traffic but then the incremental traffic may not always be interested in buying insurance products but it could be that they are just interested in knowing about insurance as a whole. Second argument could be that your blog is related to web development, which helps in freelancing jobs but what if blog is not related to what people are looking for as a service. Bloggers can always provide writing service in the niche of the blog. Let us take an example of Physics as a niche of a blog. There are few physics writers available online as freelancers, so a blog which has good content on Physics can always acquire clients for providing content writing services. Yes it could be that the number of clients may be low but over a period of time it may have lot of regular clients compared to vBulletin or server optimization because webmasters don’t require optimizations services too often. Blog may not make you money directly but it can create opportunities for you. On Jan 26th 2013, I revamped Go4Expert urls completely. Change in URls was needed because I was using Go4Expert.com/forums even for articles and I wanted to move things to go4Expert.com/articles and have forums in Go4Expert.com/forums which meant that I will have an impact in Google but it will helps my users understand the site structure easily. I did the change and expected Google traffic to decline and soon I saw the impact. After couple of months Google indexed all the new urls but the site traffic did not reach a point where it was before change in URLs and so I contacted Google about the same and here is what I get from them in response. I loved C++ when I started Go4Expert. As I shared my content, I started to read lot of books and online content on how to make my content more reachable in Google. I had no idea what it was called then and slowly but surely understood SEO. I made notes of things that I should be doing to help reach more people in Google and I am damn sure this is story of majority of online blogs and forums. You can always learn SEO as you move along. Bloggers can become better in SEO over time but the reverse may not always be true. My customers aren’t blog readers or my customers will not prefer a blog on my site is yet another myth among many webmasters. I don’t see a reason why your customers will not prefer extra content on your site. Yes the chronological date wise looking repository of articles may not be preferred on some websites but you can always use blog WordPress as category wise article repository to drive traffic to your site or you can also use WordPress to answer some of the common questions that your readers may have to before they become your customer. Let us take an example of a website about selling pet food. Ideal customers are people looking to buy pet food and the main keywords will be buy dog foods or buy dog food online, buy cat foods or buy cat food online. These keywords should be targeted in the product description pages. Argument that ideal customer for the site may not be blog readers is also valid in the above scenario but what if you can organize a blog which answers all the questions that pet owners may have. The blog will not only act as a source of traffic to your product sales pages but can also act as list building platform for email marketing. A list of a pet owner is a gold mine for site selling pet foods. Isn’t it? No having more sites in same niche does not help by any means. Having more than couple of sites in same niche is not something that I prefer. Even in different niche if you have too many sites, you will find it very difficult to keep them updated and so it is always better to be having fewer sites that are being updated rather then having hundreds of dead sites an exception could be if you have a team of content writers or webmasters that can help you manage and keep lively too many sites. Bloggers aren’t sure if readers will want to buy anything from bloggers. The answer to the myth is if you provide quality content on your blog for readers it helps you build trust and once readers trust the bloggers about the quality there is no reason for not buying what blogger may offer. Take an example of my Technical Analysis Blog. Indians buying an eBook from a non-financial background blogger is something that I could never ever imagine even in my dreams in 2011. The reality is readers have not only purchased my eBook but many readers have also referred their friends to me for buying the eBook. I always focused on building trust and helping my blog readers with any question they have and over a period of time when I became a trusted and unbiased source of information for helping people to trade in market, people not only started getting in touch with me to learn how to trade in market but also wanted more from me and this became the inspiration for eBook. Blogging is not about money; it is about building trust of your readers. The length of blog posts or word count is the least thing that matters. The only thing that matter is the quality of your content. See my post on How to know if you are an entrepreneur. It is under 100 words and this article is over 4000 words. The length of the post should be as much as you think will be good enough to add value to readers as well as keep them interested. Seth Godin’s Blog has lot of shorter posts where as Steve Pavlina has some monster articles that are even converted into eBooks by many webmasters. Both have their own style of writing and both are very very successful. If you are one of those who think no one reads long posts, you are proving yourself wrong by reading this article. If you think short posts don’t work, read Seth Godin’s Blog. Last but by no means the least is people still search for turnkey blogging solutions. There are so many sites online that advertise about such products and hundreds of people are being trapped daily. For those who don’t understand turnkey blogging solution is something where all you need to do is get the key to a niche blog and switch it on to be the next millionaire. It never works. Have I missed any myth? Share them in comments below. Hey Shabbir Nice Article Man. You have busted almost all myths about blogging. I guess every newbie or beginner should read this post to know what blogging is and what blogging is not!